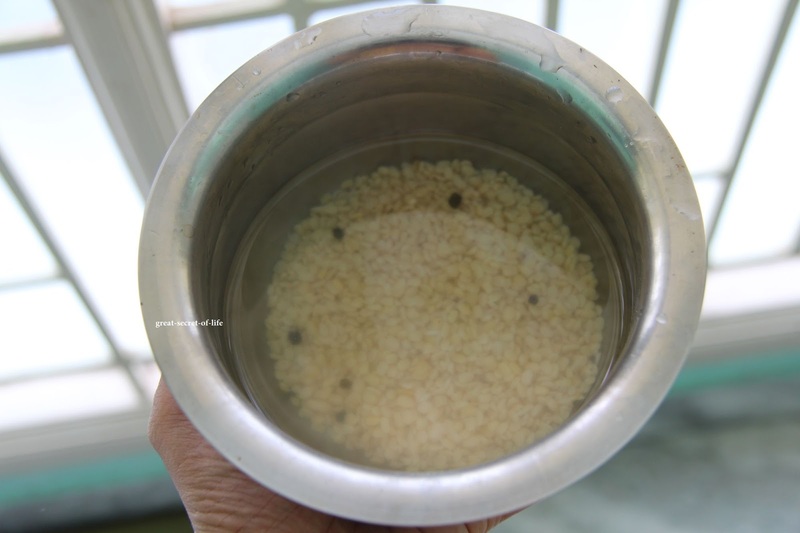 Melt the jaggery with ½ cup of water and Add this to the dhal paste thro' strainer. Add a pinch of salt. Cook further for another 3-4 mins. When you reach below consistency swtich it off. 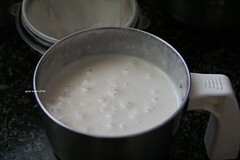 Stir it very often (otherwise it will be come thick bottom). You can add 1 tablespoon of dry roasted Moon Dhal when soaking together with urad dhal and rice. totally new recipe to me,looks healthy porridge!! Its gives me a look of nice froth. Very new recipe but must be too healthy right. My grandma make this kanji very often/monthly once...i love this a lot but haven't tried it so far...u got the right texture n consistency...too tempting! 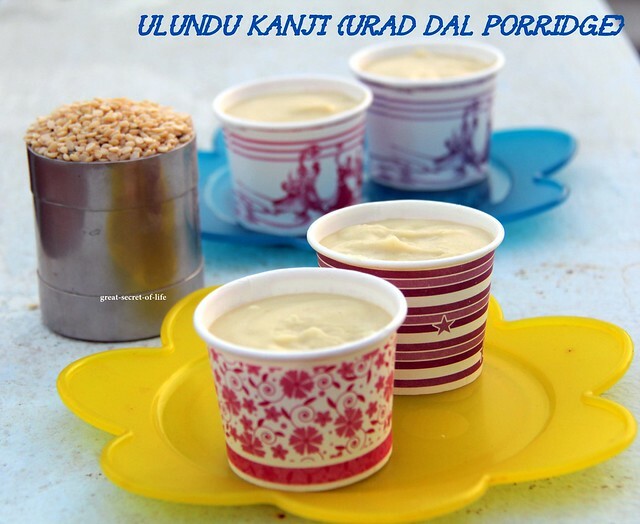 Delicious porridge love that you made it with urad dal. Wat a healthy kanji, my grandma's signature dish. She do make quite often just to feed us. New recipe for me.. very interesting and looks tasty! it puts on weight or what?